May 8 | 6:30-8pm | Register your 5th grader today! RPC Kids invites your children to join us in celebrating the resurrection of our Savior on Saturday, April 20 during one of our two programming hours. 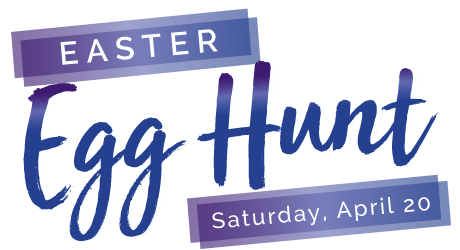 We will have a community-wide egg hunt on either side of those services! 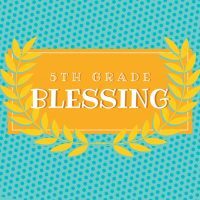 The parent blessing is designed to be an intentional time for you to praise and encourage your 5th grader. Parents, please prepare a one or two minute blessing that will be given privately to your child at the ceremony. This ceremony is for 5th graders and their parents only. Due to space limitations, we are unable to accommodate siblings and other family members. Contact Linda Morrison with questions. The mission of RPC Kids is to partner with families to build strong spiritual foundations, while encouraging children to grow in a personal relationship with Jesus Christ. On Sunday mornings, we use the Orange Curriculum to teach God’s word in a fun, deep and engaging way. For more information on age specific programming, click on a section below. Newborns through 18 months are welcomed into a safe, loving environment. It is important to us that you and your child are happy while they are in our care. We will inquire of your child’s needs when they arrive and let you know of any news when you pick them up. When children are able, they participate in our Bibles and Bells program and sing about how special God’s Word is. In addition, our trained volunteers will share a "Basic Truth" from the Bible and pray over your child each week. If we need to notify you during service, we will do so by sending you a text message. Bring extra diapers and a change of clothes. Label any items brought to class including cups, pacifiers, and diapers. We promote your children based upon development. When your child begins walking, they will move to the older nursery class. One of our caregivers will discuss this with you before a class change is made. All of our volunteers are background checked and trained on how to best care for your child. We maintain a safe ratio in each class. Our rooms and toys are sanitized each week. For more information, contact Jennifer Schmitz, Nursery Ministry Leader. Toddlers are invited to a class that is filled with fun and exciting things to do. 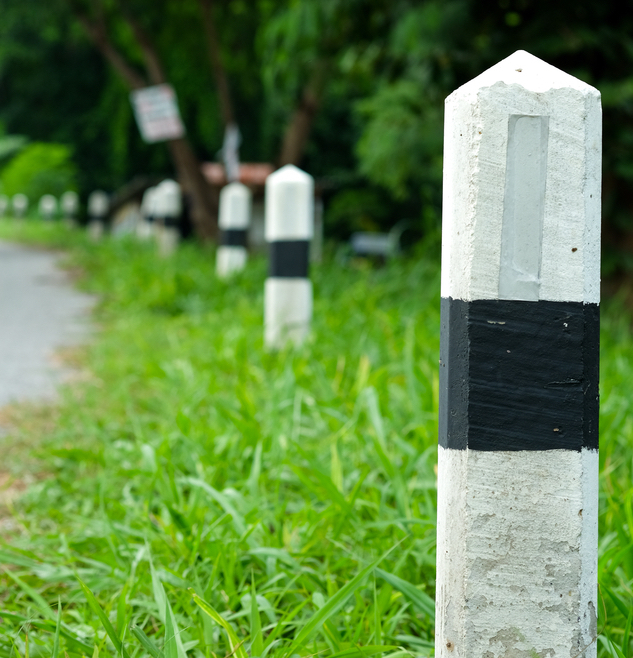 We have specific guidelines in order to provide a safe, clean environment. Each week of the year, we use the Orange: First Look preschool curriculum to teach Biblical truths. The little ones then participate in craft time and take home something special that helps them remember the story they learned. Our volunteers also pray a different biblical virtue over them each month. If there is a need for us to notify you during the service, we will text you. Do not bring any toys from home. It is hard for children to share their special toys, and it is difficult for teachers to know which toys belong to each child. If your child is potty training, please communicate this to the teacher. For more information, contact Alisan Mobley, Preschool Ministry Leader. When your child arrives, he/she will be greeted with a warm welcome! Children have a few minutes when they arrive to choose a station to enjoy. Next, our Pre-K children participate in a large group environment for their age-appropriate lesson from the Orange: First Look preschool curriculum. Children respond to what they’ve heard with a time of worship through singing and then break into small groups for discussion and a time to create. For more information about the Orange Curriculum, click on the link below. If there is a need for us to notify you during service, we will text you. All children are a part of God’s story. We invite your Kinder-3rd grade children to come be a part of our weekend experience at RockPointe and discover what God’s word says in a dynamic, energetic, age-appropriate way using the Orange: 252 Basics elementary curriculum! 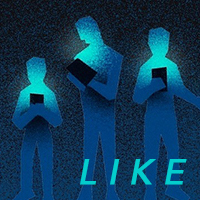 They will spend time in a combination of large and small groups, connecting and engaging with the Word and with each other. Classes are held on Sunday morning during the 9:30am and 11:15am services. For more information about the Orange Curriculum and to view parent resources, click on the links below. For more information, contact Ashley Langwell, K-3rd Grade Ministry Leader. Imagine being a 4th or 5th grade student. You don’t quite think you are a kid anymore (even though you are), but you’re not yet a teenager. So, where do you fit in during this transitional period of your life? RockPointe Children’s Ministry believes our 4th and 5th grade students need a learning environment all their own. Merge is an environment that is challenging, crazy fun, and works with parents to prepare these kids for the next chapter of their lives. Classes are held Sunday morning in WestPointe Building during the 9:30am and 11:15am services. Children will enjoy learning from the Orange: 252 Basics preteen curriculum and worshipping together along with a live band each week! For more information, contact Linda Morrison, 4th & 5th Grade Ministry Leader. MULTIPLY is an RPC Kids mentoring program where Disciple Makers walk alongside 4th/5th graders to aid in their spiritual journey. Disciple Makers (DMs) are RockPointe high school students and young adults who have a desire to make a spiritual impact with children. The goal of the DM is to help his/her group of children mature in their walk with Jesus. Mentees are RockPointe Church 4th/5th graders who want to work intentionally at maturing in their spiritual walk with Jesus. In most cases, children will be in a group with 2 other children and one or two Disciple Makers (DMs) as their mentors. Children will check into their Sunday morning grade-level classes and attend the initial small group portion, as well as the full large group portion of programming. After large group, the DMs will gather their mentees and will meet in and around the RockPointe campus buildings and outdoor seating areas. Parents will pick up their children in their small group classroom at the conclusion of services. The meetings will consist of discussions around topics that are relevant to upper elementary students. Meetings between DMs and their mentees will occur on the following Sundays at 9:30am, during the small group portion of programming. Multiply registration for the 2018-2019 school year is closed. Please email Linda Morrison for registration information. Interested in becoming a Disciple Maker (DM)? Please email Linda Morrison for more information and to express your interest. For more information about MULTIPLY, please contact Linda Morrison. RockPointe strives to provide an accepting environment where individuals with special needs can learn about Christ. For families with children who have been diagnosed with a disability, whether it is physical or mental, we will provide a “Buddy” for your child during the 9:30am or 11:15am Sunday morning worship services. Our “Buddy” will pair up with your child to accompany and help with participation in their age-appropriate classroom. For more information, please visit our Embrace: Special Needs site. RPC Kids offers two paths to BECOME and BELONG on Wednesday nights! Ignite Kids offers children in 1st-5th grade an amazing opportunity to grow in both discipleship and a skill, while encouraging community with other kids. Bible Drill trains 4th and 5th graders how to hide God’s Word in their hearts by memorizing scripture and learning the books of the Bible. The 2019 Spring semester is over. We look forward to seeing everyone back on Wednesday nights starting in August for our Fall semester. Registration will open this summer! Childcare is available for children ages birth-Kindergarten for parents enrolled in Wednesday evening adult classes and Bible studies. Childcare ("FaithBuilders") sign-up is completed through adult class registration forms. $10 per child for the semester. Registration fee includes all supplies, reference materials, and celebrations. Registration will open this summer for the Fall 2019 semester. To register for this event, you must have an account in our new myRPC community. Please request an account by clicking HERE. Once you receive your account information (emailed to you within 24 hours of your request), you can register for this event when registration opens. After your initial myRPC set up, it will be easier than ever before to register for events, give online, interact with your RockPointe groups, and manage your RPC calendar. Thank you for setting up your account within myRPC! **After registering, you should receive a confirmation email that includes further details. If you do not receive this confirmation or if you have difficulty registering, please email Jennifer Schmitz. 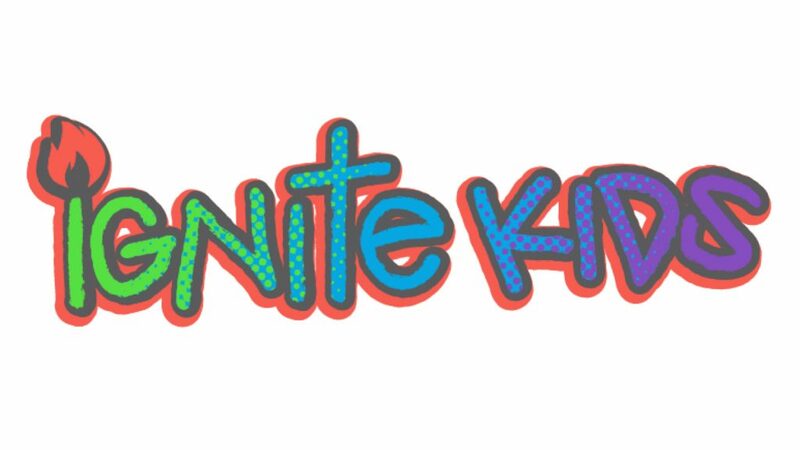 Wednesday Ignite Kids check-in will take place in both the NorthPointe children’s lobby and the WestPointe lobby starting at 6:15pm. Parents will drop off and pick up in their skill classroom. Interested in being an Ignite Kids volunteer? We need volunteers in the following areas: registration, media, discipleship classroom teachers and helpers, and skill classroom helpers. If you’d like to volunteer, please indicate your preference on your child’s registration form or contact Linda Morrison. Each child will select one SKILL option for the Fall semester. Skill classes meet from 6:30-8:00pm. This class for girls focuses on the heart of the dancer as a worshiper, training both the body and spirit as they learn to minister to others through God-centered dance. *Dancers in this class will have an opportunity to perform during the RPC Kids Christmas Worship Program. One additional rehearsal is required. Dancers will purchase one costume (an additional $40 cost) and one pair of shoes (Tan Gore Jazz Shoes), which will be used for the performance. This program concentrates on teaching children how to praise God with singing and helps children learn to be true worshipers from the inside out. 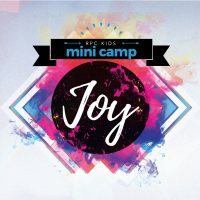 As a Joy Jam or Worship Kids participant, your child will be preparing for the RPC Kids Christmas Program in December (with the potential of being assigned a special role). A separate registration for the Christmas Program is required and will open in October. These young actors will practice beginning acting skills and script reading, and will have an opportunity to use their acting skills for others during the Fall semester. This discovery class for boys will host a variety of outdoor activities. Those may include fishing, craftsmanship, marksmanship, and assorted games teaching spiritual life lessons along the way. Each child will select one DISCIPLESHIP option for the Spring semester. Discipleship classes meet from 6:30-8:00pm. Skills, Drills and Thrills is a program designed for 1st - 3rd graders that offers a unique mix of activities that will help kids build strong Bible skills, strong life application, and a strong foundation for Bible Drill. Children will need to bring their Bibles to class. Based on best-selling author Priscilla Shirer's study of the Armor of God, this study of Ephesians 6:10-17 helps equip kids to put on the Armor of God to fight life's battles. Each week develops an aspect of God's own character, as expressed through Jesus, through Bible study and fun learning activities. Children will need to bring their Bibles to class. Each child will receive a workbook for this Bible study. Kids are not merely the leaders of tomorrow; they can have a measurable impact on the Kingdom right now! In Level UP, kids learn foundational biblical leadership truths as they develop their imaginations and put creative thinking into action. They will also work together to design a service project that impacts a real need in the community. Children will need to bring their Bibles to class. Each child will receive his/her own copy of the book "Love Does: for Kids". This class is limited to 12 students and requires some reading at home. Case For Christ: For Kids is an apologetics class for children who are searching for ways to answer some tough questions, as well as ways to confidently defend their faith. This class will help them answer big questions on the existence, miracles, ministry and resurrection of Jesus of Nazareth. Children will need to bring their own Bibles to class. Each child will receive his/her own copy of the book "Case for Christ: for Kids". The Bible Drill discipleship path is a dynamic program in which children will memorize 25 verses, 10 key passages and the names of all 66 books of the Bible. It is essential that parents partner with the child to learn the material. In addition to practice time, please pray, motivate, and encourage your child as he/she memorizes God’s Word. For more information on the Ignite Kids and Bible Drill programs, please contact Linda Morrison, Associate Children’s Minister. How does a parent take on the responsibility of “primary spiritual nurturer” in the life of his/her growing child? 1) First, a parent grows in his or her own understanding of the Bible and relationship with Christ. 2) Second, parents learn how to effectively practice age-appropriate family devotions in their own home. 3) Finally, parents learn to equip their children for the natural, spiritual milestones. Christian parents are naturally compelled to present their newborn children to God. This milestone connects new parents with the magnificent responsibility and opportunity of leading their children spiritually. When parents present their children to God even as Mary and Joseph did, they’re acknowledging two simple facts. First, this new baby is God’s creation and therefore God’s possession. Second, as stewards of God’s possession, parents have the responsibility to intentionally raise the child in a way that’s pleasing to God. In this class, we will discuss what this might look like, and how we at RPC can partner with you on this journey. 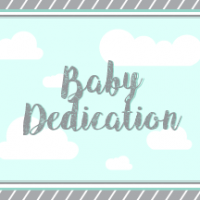 The Baby Dedication ceremony during the service will occur the following weekend. Email Christy McCallum for more information. This class is for parents and children in 1st-5th grades. The plan of salvation, what it means and when it is time to be baptized, and how communion fits into a Christian’s life are all topics which will be taught. These topics are covered in a relevant and child-friendly way. This is the FIRST step in the baptism process. A follow up with your Children’s Pastor should occur once your child has completed the Basics for Kids class, has asked Jesus to be their Lord and Savior, can articulate his/her salvation experience, and is ready to proclaim their salvation publicly. Email Christy McCallum, Children's Pastor, to schedule this next step. At RockPointe Church, we invite children who have accepted Jesus Christ as their Lord and Savior, and who are ready to proclaim this choice publicly, to make a video testimony. This is Step #3 in the baptism process. The video will be recorded in advance carefully by our Ministry Staff. Your child will be prepared and made at ease during the taping. On the day of your child’s baptism, his/her video testimony will be played in the Worship Center before the actual baptism. Afterwards, a video with their testimony will be given to you along with a Baptism Certificate and a Baptism Memories packet to record special moments from the day. 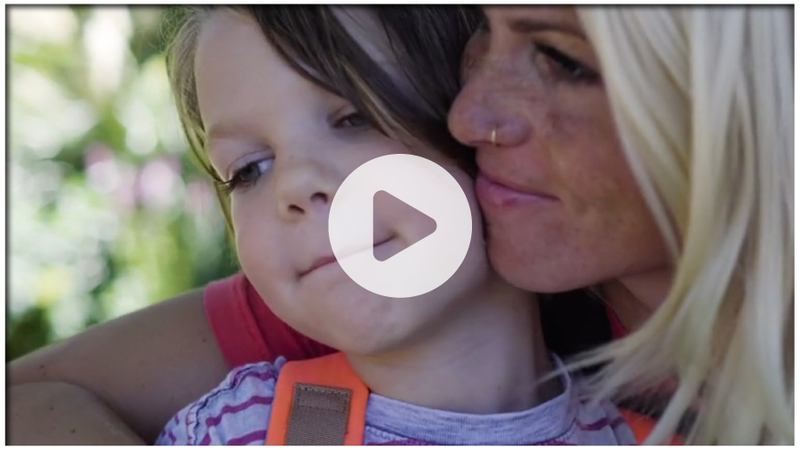 Since baptism is a public proclamation of your child’s faith in Christ, we feel that the video gives your child the opportunity to share what they really want to say. Additionally, your child’s faith story is very meaningful. We want them to be able to remember it and share it with others as inspiration. Baptisms are scheduled with your Children’s Pastor during your child’s follow up. Baptisms take place on Sunday mornings, and include a showing of your child’s pre-recorded testimony video. 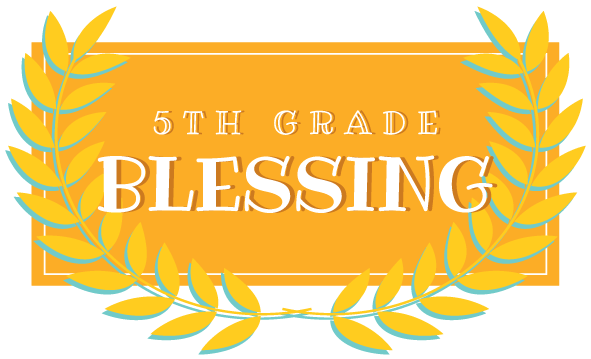 5th graders and their parents/guardians are invited to a time of prayer, blessing, and celebration as they transition to 6th grade and to Student Ministry. Please join us for this milestone celebration. Desserts and photo booth following the ceremony. 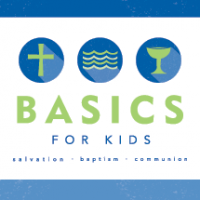 This class is a follow up to baptism for your 1st-5th grader. Registration: For children who have participated in believer's baptism only. Registration for the Fall 2019 class will open in August 2019. For more information, email Christy McCallum, Children’s Pastor. Leading kids to make a local and global impact today. 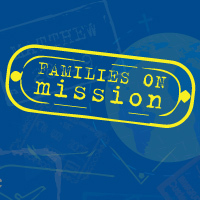 Mobilizing families by organizing shared mission experiences. Coming together to make a lasting impact on kids in the community. Serving on our RPC Kids volunteer team is an opportunity to honor God and introduce children to the wonderful truths in the Bible. Our volunteers have the privilege of impacting children’s lives with their gifts of teaching, singing, praying, playing, creating, and planning. This ministry area has many areas of service. Please see below for the area that might interest you most. Using the assigned curriculum as a guide, storytellers and large group leaders will present lessons (20-30 minutes) in an engaging, yet effective way. As a storyteller you will want to be comfortable in front of a large group of children and the adults. The Host will energetically greet the children during large group and lead them in a game, which goes along with the lesson for the day. The Host will also periodically interact with the large group leader during large group with some minor acting parts. Media team members run the audio visual equipment for large group, which includes sound for worship, sound effects and visual aids for the lesson, and other media. Training is required on all equipment so that members are prepared to use lights, sound, visual projections, sound effects and other media programs to support large group and transitions in the worship order. Using the assigned curriculum and activity as a guide, Small Group Leaders lead Bible study lessons with the children in small groups. Small Group Leaders also connect with children on a deeper level through prayer, discussion questions, games, etc. Small Group Helpers welcome the kids with a smile, hug or high five as the children arrive. Helpers also play an active role in the classroom engaging kids in the lesson, connecting children with one another, and modeling worship and active listening. The Registration Team greets families as they enter RockPointe, guides them through the process of checking in via our computer system, and shows them to their classroom. The team also ensures that all RPC Kids volunteers have checked in and have a name tag. The Worship Team, consisting of vocalists and instrumentalists, will musically lead the children in praise and worship during children’s programing. Caregivers create a loving, caring environment for infants during each worship service. Caregivers also follow the curriculum posted above the changing table each month and perform or assist with Bible and Bells in the older infant class. Our special needs children come with a wide range of disabilities and often benefit from a "buddy" to help them navigate the classroom experience. This helps us maximize their ability to learn about Christ and how to have a relationship with him. Ignite Kids! offers children in 1st-5th grade an amazing opportunity to grow in both discipleship and a skill, while encouraging community with other kids. Discipleship Small Group Leaders will lead a group of 8-12 children by engaging them in the lesson or activity, by connecting them to one another, and by modeling worship and active listening. Skill Small Group Leaders and Helpers will help teach or guide children in a specific skill such as choir, acting, outdoor activities, etc. MULTIPLY is an RPC Kids mentoring program where Disciple Makers walk alongside 4th/5th graders to aid in their spiritual journey. Disciple Makers are high school students and young adults who have a desire to make a spiritual impact with children. RPC Kids will be serving throughout the year at Vickery Elementary in Lewisville. Volunteers can also serve as a mentor to a child during the 2018-2019 school year. Click HERE if you would like to apply to be a Kids Hope USA Mentor. Kids Hope USA is also seeking a volunteer to help be an administrative liaison between Vickery Elementary, Kids Hope USA, and RPC Kids. If you're interested, please contact Linda Morrison. Interested in being an RPC Kids volunteer? Click HERE! A member of the RPC Kids staff would love to talk with you about serving in the Children’s Ministry. If you are interested and would like to know more about volunteering in some capacity, please contact Christy McCallum, Children’s Pastor.